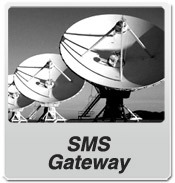 Reach any phone worldwide using our simple online SMS gateway platform. 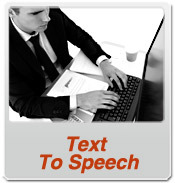 Our gateway delivers SMS, Voice and Text-to-Speech to more than 200 countries worldwide. Our APIs offer you a choice of connection options (HTTP, HTTPS, SMTP) that are flexible and easy to implement and that will fit to pretty much any kind of usage. 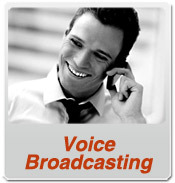 On top of the SMS delivery, Matrix gateway also provides Voice and Text-to-Speech messaging functionality. Your application will be able to communicate with the outside world using all media known to humanity, and through one, consistent API. Source code scripts that show how to use gateway's API are available from our website, and they cover several most popular programming languages. API specification documentation is also available. Text messages in unicode (utf-8) are supported, as long as wireless carrier and phone receiver support given language. When unicode is used, most of Asian languages are supported, including Chinese. If 'response' field is set to 1, the system will deliver voice or TTS message, and it will wait and capture recipient's response. If 'response' field is not set, no response will be expected nor captured. For users (developers) that don't have a need or possibility to integrate their software with our SMS Gateway directly, SMS Matrix provides easy to use option: SMS, Voice and TTS message delivery via SMTP. If text (not HTML) email is sent to gateway@smsmatrix.com email address, it will be further processed by our SMS Gateway, and premium SMS, Voice or TTS (Text-to-Speech) message will be delivered as a result. sms:Hello Adam, this is a test, please ignore. tts:Hello John, This is Adam, please call me back. tts:Hello, this is your dentist Joan Smith. You have appointment scheduled for Tuesday at 9am. Press 1 confirm it, or press 2 cancel it. Press 9 to replay this message. Keywords (username,password,phone,sms,tts) in these emails ARE CASE SENSITIVE, and must be typed in lowercase - just like in the examples above. Optionally, 'response' field can be added to voice and TTS messages. 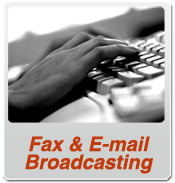 'callerid' field is optional. 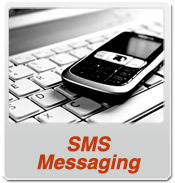 The message (sms/tts fields) must be written in one line of text, no newline characters are allowed. # The voice file provided must be in mp3 or wave format. # It will be converted to: 16Bit 8kHz mono wave format. our system can submit HTTP POST to an URL associated with the number. Either 'smsin' or 'voiceresp' variables are present and set to 1, not both. Similar scripts can be implemented in virtually any programming language. All values from 0 - 399 (inclusive) mean success, all other values mean failure.